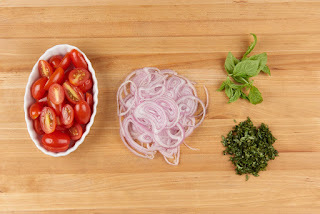 Halve grape tomatoes. Stem basil and reserve a few small leaves for garnish. Stack remaining leaves, roll into a long cylinder, and slice across length to create very thin strips. Peel and slice shallot into very thin rounds. 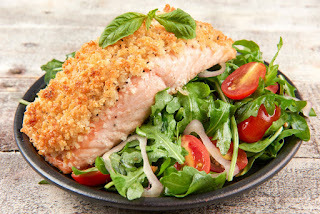 Rinse salmon fillets, pat dry, and season both sides with ¼ tsp. salt and a pinch of pepper. 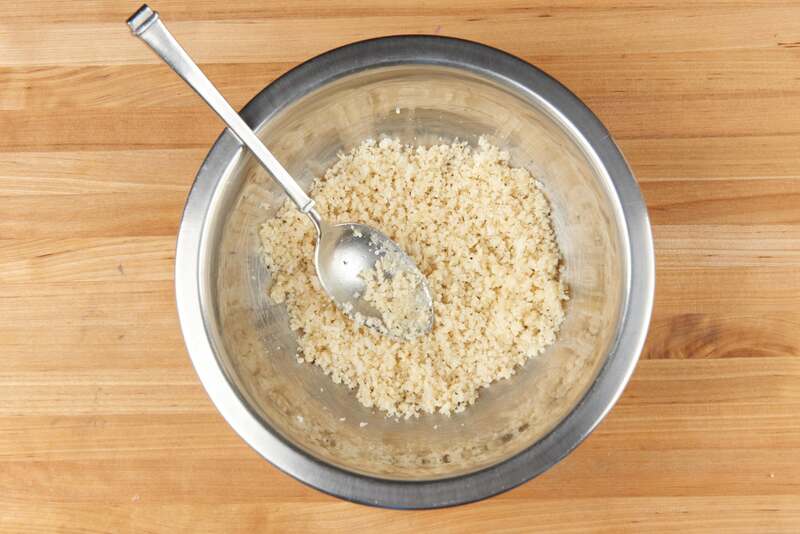 Combine Parmesan, panko, a pinch of salt and pepper, and 1 Tbsp. olive oil in a small bowl. 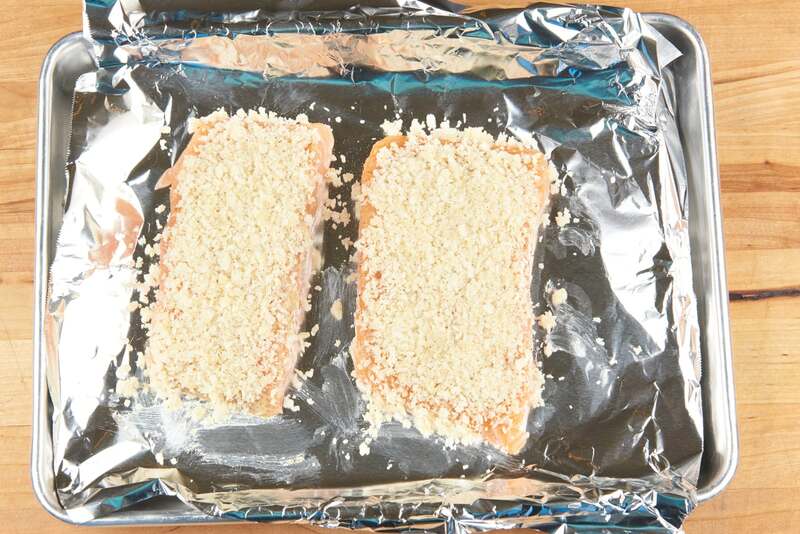 Place salmon on prepared baking sheet and brush each top with 1 tsp. Dijon (reserve remaining for balsamic vinaigrette). 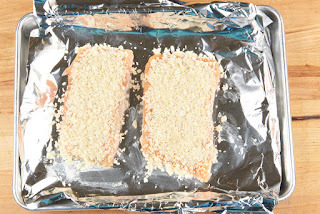 Top with Parmesan-panko crust and place on top rack in oven. 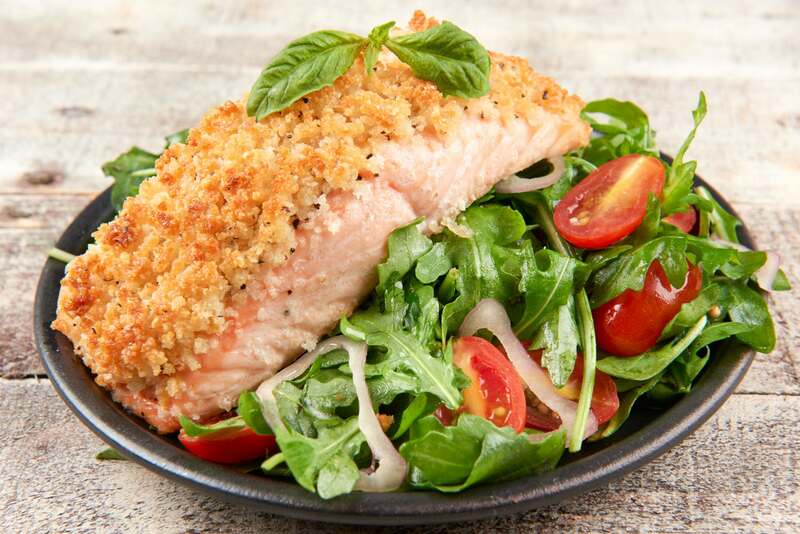 Bake until crust has browned and salmon reaches a minimum internal temperature of 145 degrees, 12-15 minutes. While salmon bakes, prepare vinaigrette. 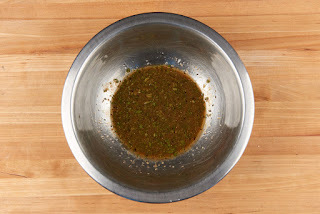 In a medium mixing bowl, combine remaining Dijon, balsamic vinegar, sugar, sliced basil (reserve leaves for garnish), and a pinch of salt and pepper. 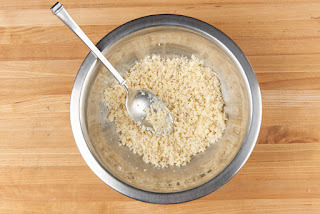 Stir, and whisk in 2 Tbsp. olive oil. 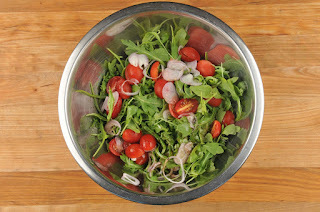 Place arugula, grape tomatoes, shallots (to taste), and in bowl with dressing and toss. Place salad on plate. 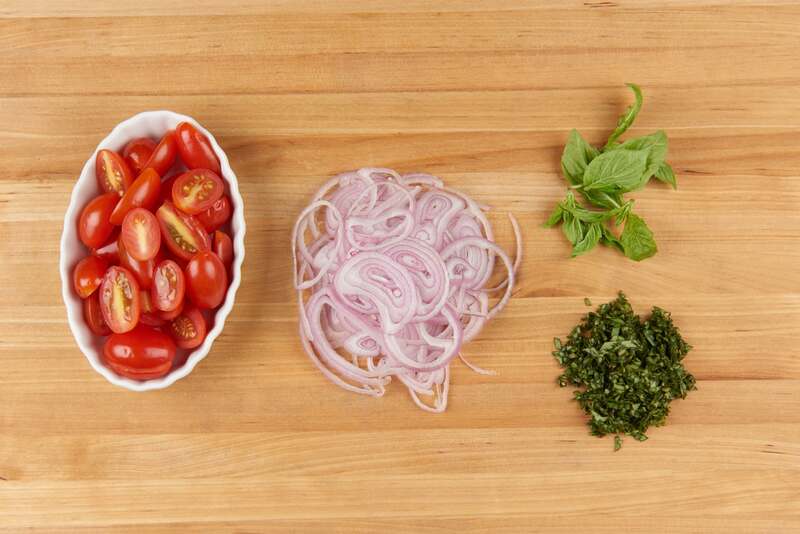 Serve salmon atop salad and garnish with reserved basil leaves.